Miners need to focus on finding and mining higher grade ore bodies and must be disciplined about keeping costs down. That’s the advice for companies in the mining and exploration sector this year from experts speaking at the Prospectors and Developers Association of Canada (PDAC) Convention earlier this month. More than 22,000 delegates from more than 100 countries attended this year’s event. That’s down on previous years, which is perhaps no surprise given the ongoing global downturn in the industry. Noting the lower attendance figures, PDAC president Rod Thomas urged optimism, suggesting ‘opportunities abounded’ despite the challenges, with new money still flowing into the industry. ‘The mineral exploration and mining industry has been facing an array of economic challenges the past several years but the sector continues to demonstrate its resiliency’, he said. He pointed to favourable market trends and a move to drive new and sustainable solutions to mining activities. ‘The mood throughout the convention was optimistic and upbeat — a positive sign for the sector going forward’. From the presentations given by the speakers and our conversations with delegates and other exhibitors, a few key themes quickly emerged. First, there was an acknowledgement of the failure of merger and acquisition strategies. Most happened at top of cycle and companies lost money. Some speakers also urged miners to keep to their company strategy. A lot of companies are divesting non-core projects and focusing on tier-one commodities. A third of global mining firms are abandoning their ‘diversified’ asset line-ups. There was also an acknowledgement that the general focus needs to shift to finding and exploiting higher and better ore grades. Low ore grades mean companies are spending large amounts of money for little return — which is counterproductive when the market environment means companies need to keep costs low. The warning was miners should focus on high-margin metal in exploration. Majors were encouraged to reprioritise ‘greenfields’ exploration with a sharper strategic focus than in the past. Significantly, in his keynote presentation — Exploration strategies for the next decade and beyond — John Hronsky of Western Mining Services said mineral systems targeting was essential to ensure miners can better predict the deposits they’re planning to exploit. Of course, mineral prediction systems are useless without quality geoscientific data. 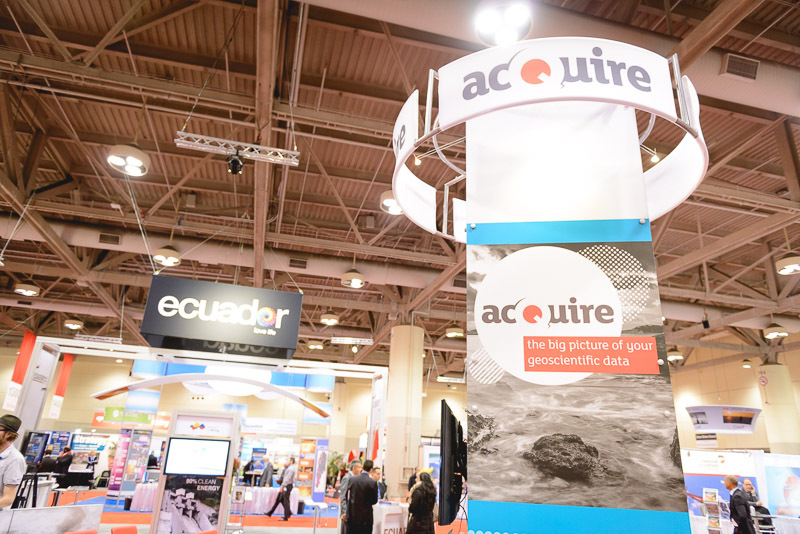 That was music to our ears as acQuire has been working to help mining companies improve the quality of their geoscientific data for 20 years. 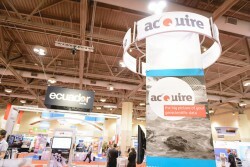 acQuire Technology Solutions was among the 700 exhibitors attending the Investors Exchange and Trade Show at this year’s PDAC. It’s an important event for the mining industry with plenty of networking, connecting with customers, finding new prospects and discovering new technologies. In this environment, it’s no surprise a fair bit of business gets done, as well. 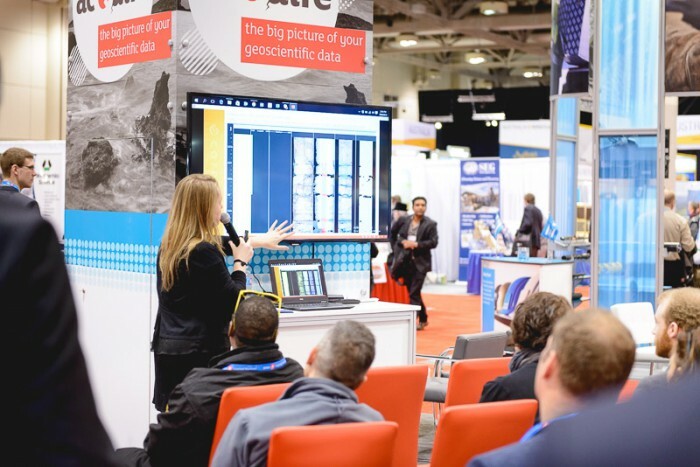 acQuire exhibited at booth 823 and featured a series of talks based on geoscientific information management (GIM) — covering the latest GIM Suite 2 software release, technology partnerships, and new connectivity features with Corescan and ALS Geochemistry. The Nova Network Partnership was featured and a GIM Discussion panel covered challenges, benefits and new technologies for managing geoscientific data. If you’d like to learn more about our GIM Suite 2 technology, visit our website.